Happy New Year everyone! I have something fun for those who have "travel more" on their new year's resolution. 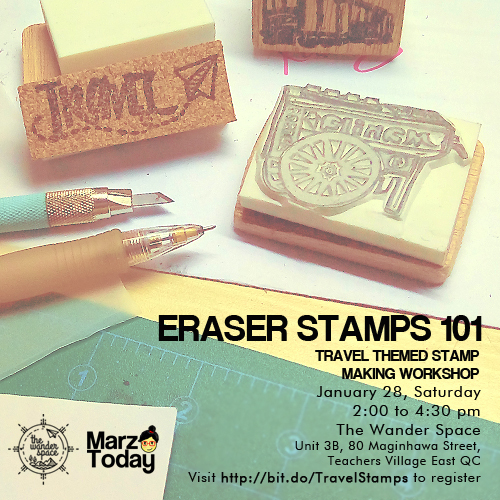 I am holding a travel themed basic stamp making workshop which will be held at a travel themed store, The Wander Space. 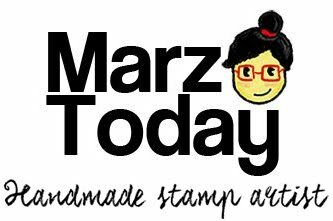 In this workshop you'll come up with travel themed stamps. I recommend this to folks who keep a travel journal or someone who would like to spruce up their scrapbook with stamps. No previous experience in stamp-making is required. If you're a leftie that's fine too. I got you covered. This is a basic stamp making workshop so I've included all the materials and reference materials (snacks are covered too.) The best part of it all is that once you've learned the basics of stamp making you can make stamps even while you're traveling. Slots are limited to five (5) students only. I'm also throwing in something special for the first two participants to sign up. Workshop fee is Php 2,100 which includes materials and snacks. I am also offering a discounted workshop fee of Php 780 if you opt to bring your own materials. Have other questions about the workshop? Leave a comment and I'll get back to you.